Fleetwood Town's first-team squad will prepare for the 2019/20 campaign with a pre-season tour in Portugal. Town have eight games to play in the current League One campaign but plans are being put in place for next term. 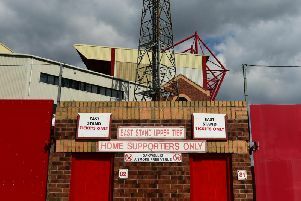 Fleetwood still have an outside chance of qualifying for the play-offs as they are eight points behind sixth-placed Doncaster Rovers with a game in hand. Barton's squad will be based in Vilamoura on the Algarve from July 7-14. Town will undergo an intense training camp before returning to the UK to complete their pre-season programme. Fleetwood are expected to play two games on the continent in what will be Barton’s second pre-season with the club, having taken his squad to Hungary last July. A travel package for supporters wishing to follow Town in Portugal will be announced in due course.